Weather Breezy until tomorrow night and rain starting tomorrow afternoon. 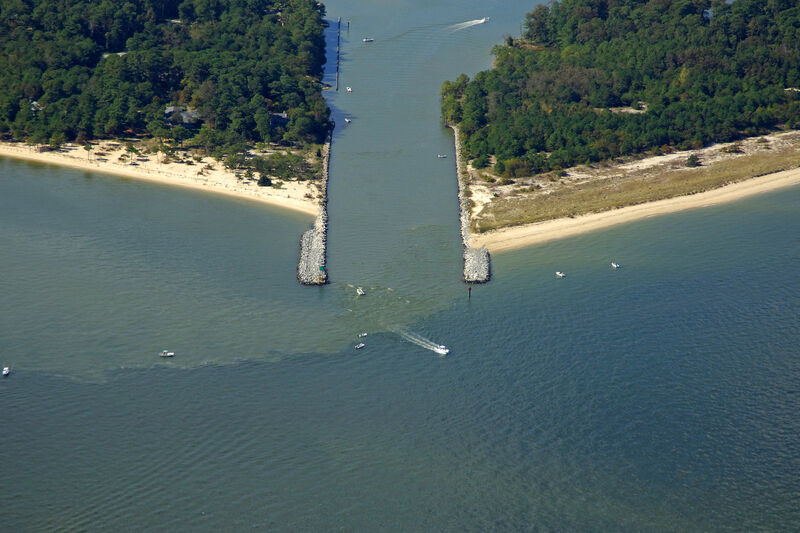 The image above is a view from the east looking west over the opening of the Little Wicomico River where it empties into the Chesapeake Bay at Smith Point just south of the mouth of the Potomac River. 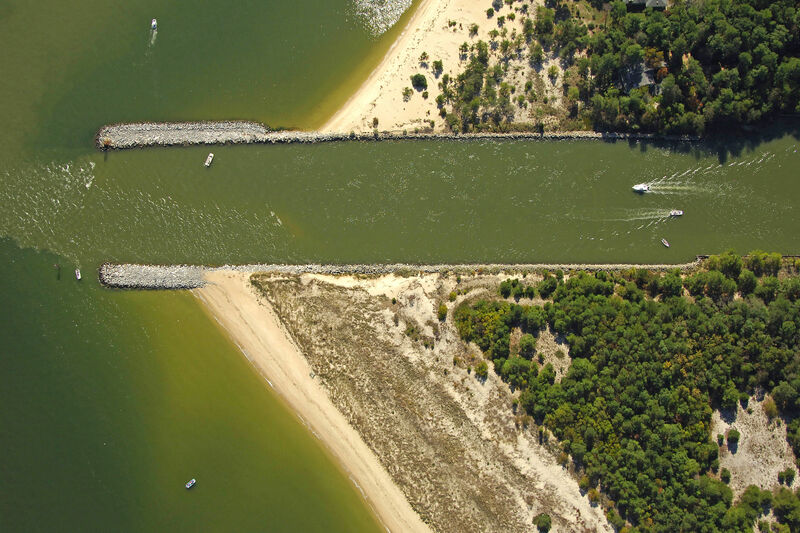 The area is popular with fisherman, and many recreational boats can be seen drifting the inlet for the days catch. 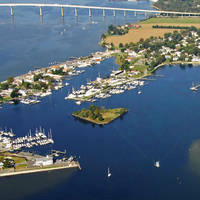 The Little Wicomico River is 12 miles southwest of Smith Island and 25 miles north of Deltaville. 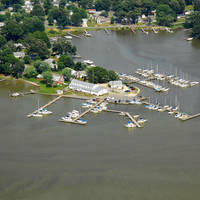 Though not a major cruising destination, the Little Wicomico River makes a convenient stopover if you run out of daylight or weather sets in while cruising north or south along the main Bay channel. 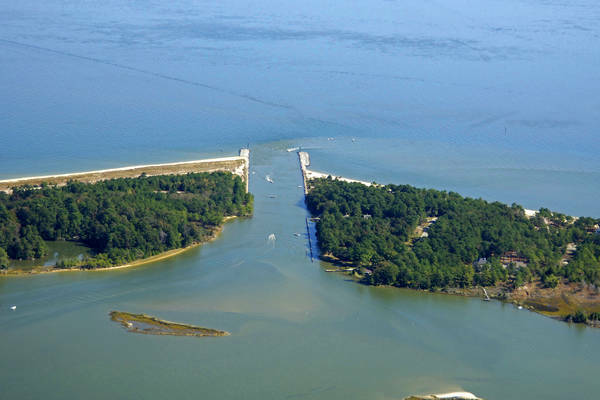 If you are approaching from the main Chesapeake Bay Channel, the Smith Point Lighthouse (52 feet above the water, flashing white every 10 seconds) can serve as a powerful beacon into the Little Wicomico/Smith Point area. Once you have arrived in the general vicinity, you will want to set a course for green nun buoy 1, which is located in the area of waypoint N37 54.184 W76 11.786. From green nun buoy 1, set an approximate course of 254 degrees magnetic for about 2.2 miles to intercept flashing red 2LW just south of the Little Wicomico River jetties. From flashing red 2LW, head northwest toward quick flashing red 4 and flashing green 5 on the north and south inlet jetties, respectively. Inside the inlet, which carries seven-foot depths, a further series of lighted marks and daybeacons lead you back into the river. The Smith Point Marina is located on Slough Creek off the west branch of the river about one mile in from the inlet. To reach it, exit the main channel at green daybeacon 9, and then head toward green daybeacon 1S, which leads you farther in toward the marina. No reviews yet! Be the first to write a review of Little Wicomico River inlet.